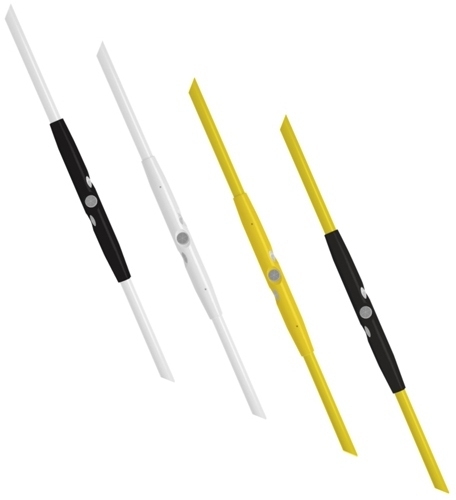 Introducing our 6 Prism Line of Reflection which includes SmartSticks and Smarty6 screw on options. 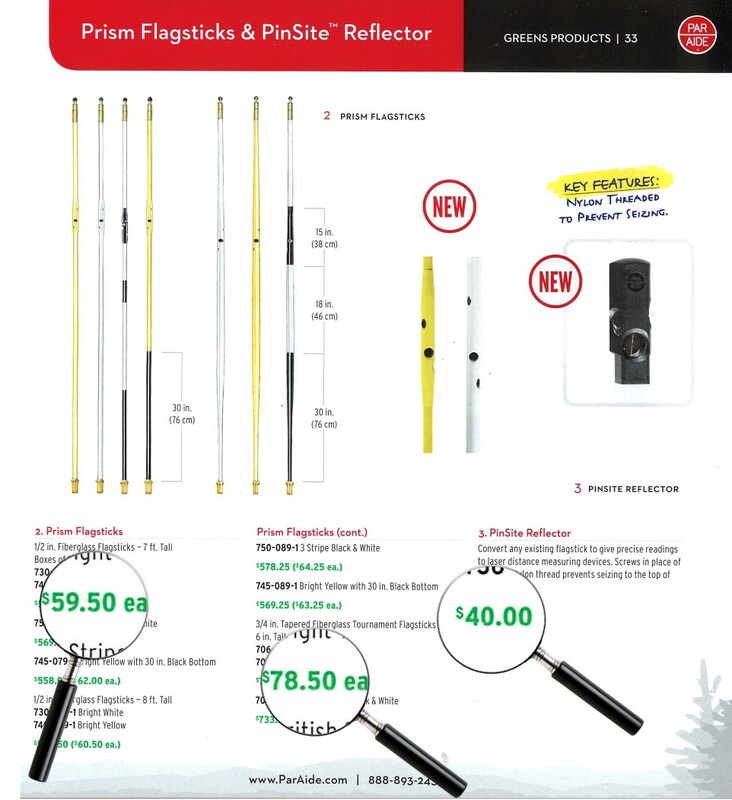 Prestige reflection is a discrete and effective solution for gauging distance using a rangefinder. See how reflection can work for you. 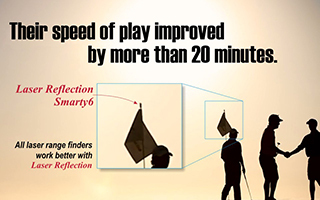 A discrete and effective solution for gauging distance using a rangefinder. The smarty 6 is exclusive to Prestige Flag. • Reflectors are oriented to provide 360° reflectivity. • Smarty 6 comes in Black or Red. 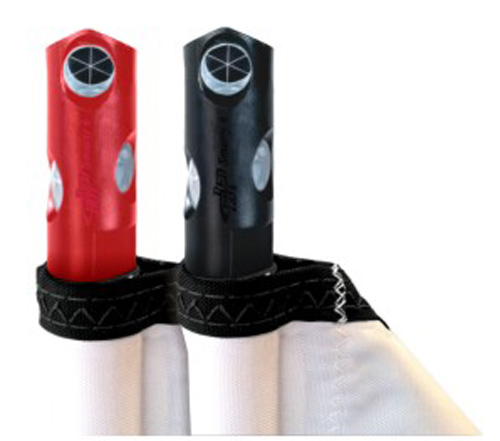 • Easily Screws onto existing flagsticks. 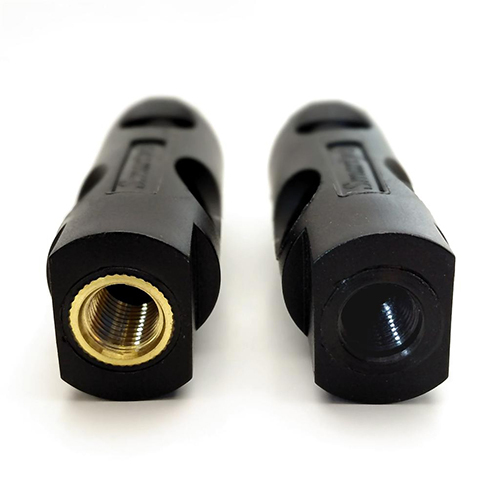 • Black Smarty 6 available with metal or nylon threads. Great idea to gauge yardage to lakes, bunkers and other hazards. Three prisms in each stake. Available in red white, yellow and forest. Measures 18” or 24” tall plus 5” nail. Watch the video to see how reflection can work for you.